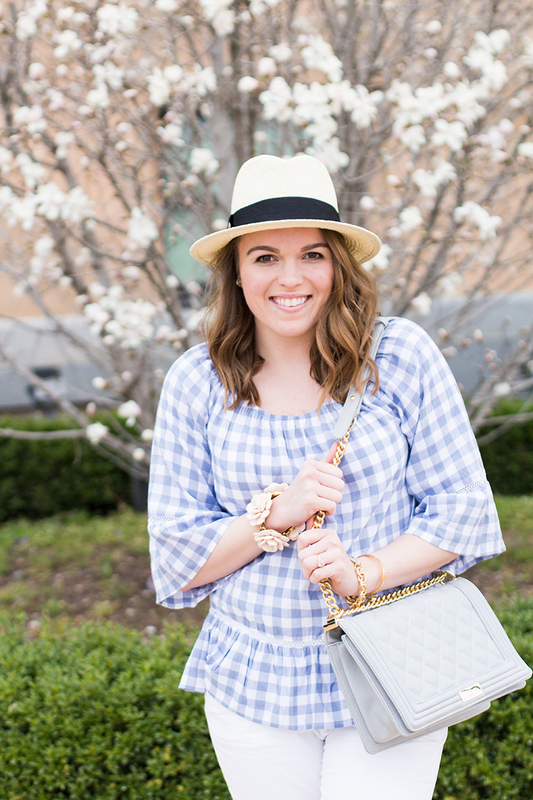 Oh how I love spring; flowers are blooming, the sun is shining, and I have the perfect excuse to wear gingham. 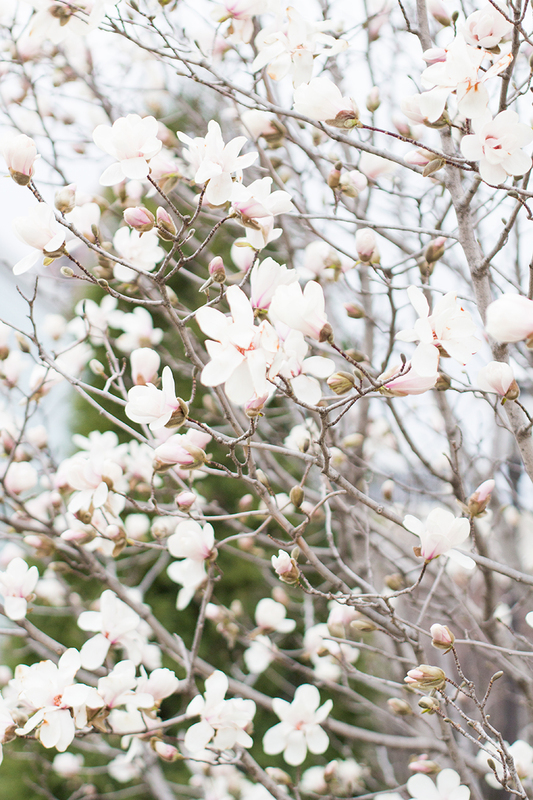 Something about this pattern is so feminine and whimsical. 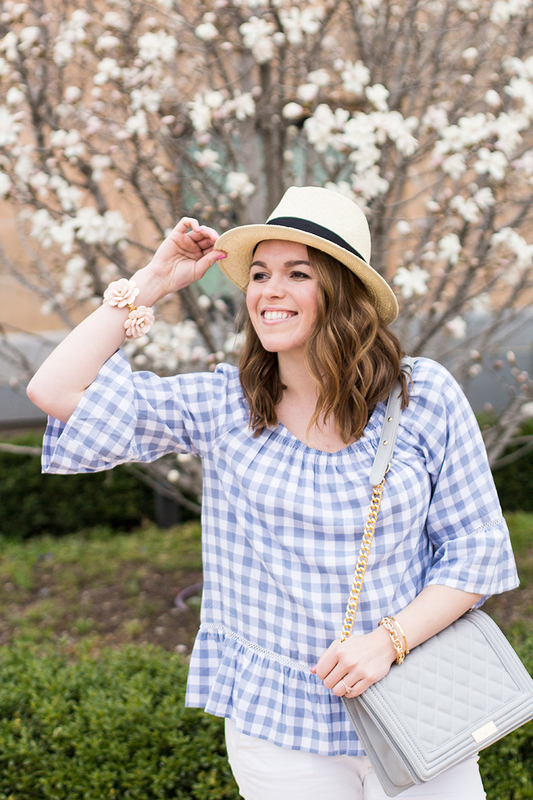 I picked this top up at Nordstrom Rack, it was one of those occasions where I walked in, picked out my size, and waltzed to the dressing room. There was no need to make a decision, I just knew I had to have it! The style is slightly boho but I love that it's loose and 'flouncy.' I can easily throw a denim jacket over it for cooler days, and pair it with distressed denim shorts when the weather warms up. I also love this version that comes in black. 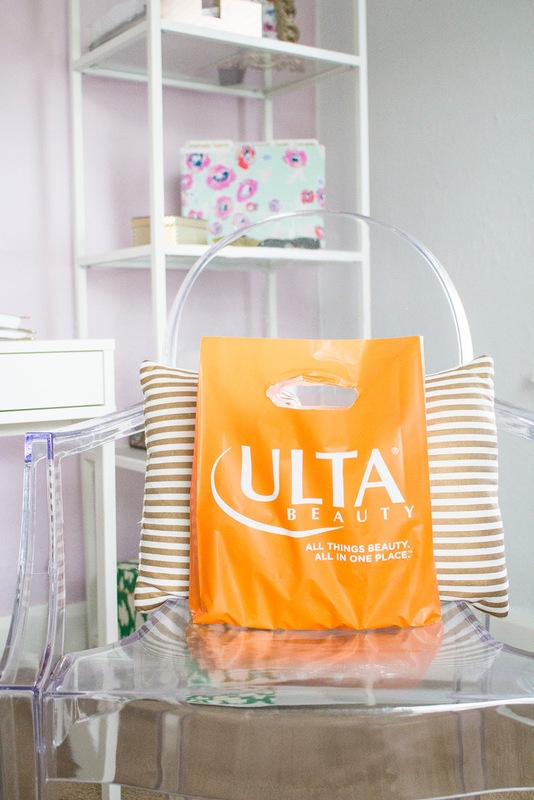 How cute would it be to add a pop of red, pink, or turquoise?! 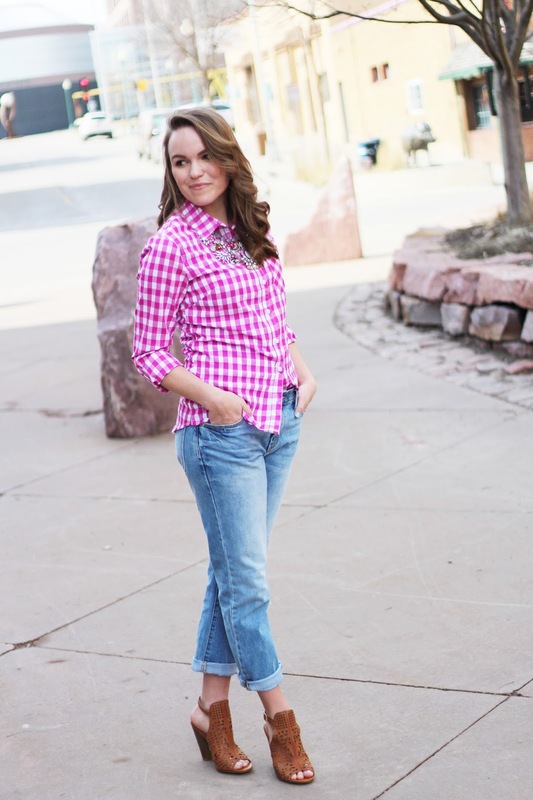 If you have followed my blog for awhile you may have noticed that I wear heels 98% of the time. Not only do I wear heels everyday during the week but my feet have become accustomed to walking around with a heel. I noticed that when I'm not wearing heels, I walk on my tippy-toes! Anyways, I have wanted a pair of Valentino Rockstud heels and flats since the day they came out...but the price is not something I can work with. 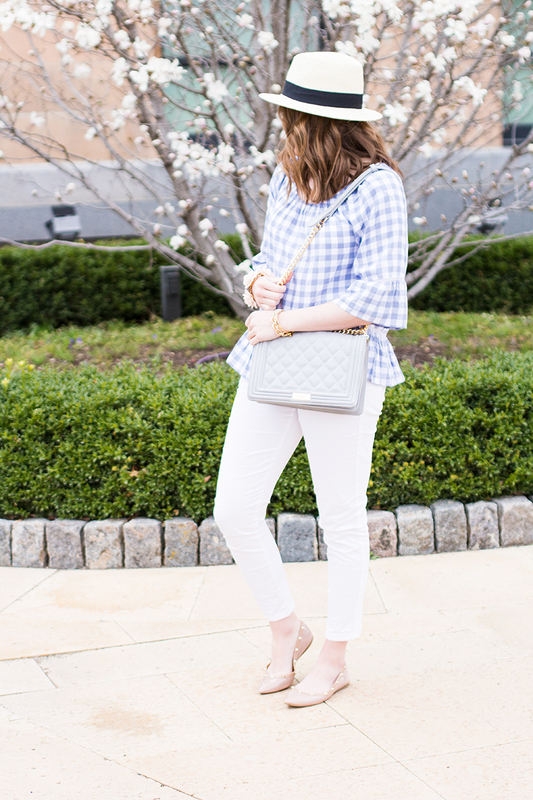 Nordstrom Rack carries these Halogen flats and I figured they were the perfect substitution. 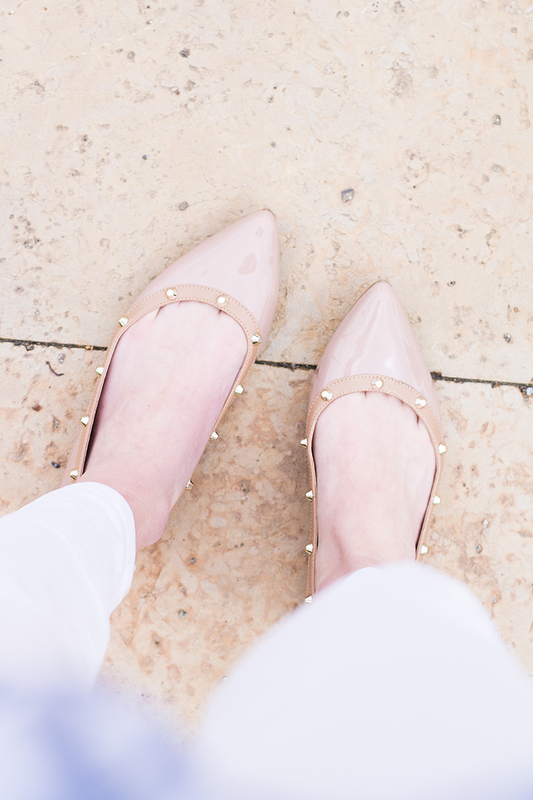 They are a very subtle blush pink tone and they are basic enough to pair well with most outfits. I love that I can also dress them up or down, depending on the occasion. I can already tell these puppies will get a lot of wear and tear...and it's all because of the great price! 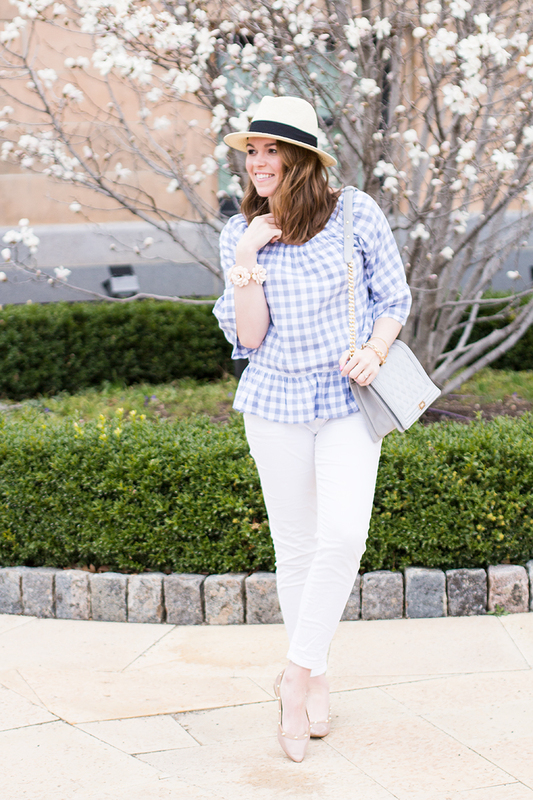 Gingham Top // Flats, not online: These are similar! // Gap Chinos // Quilted Crossbody, Bought at T.J. Maxx...I want this! 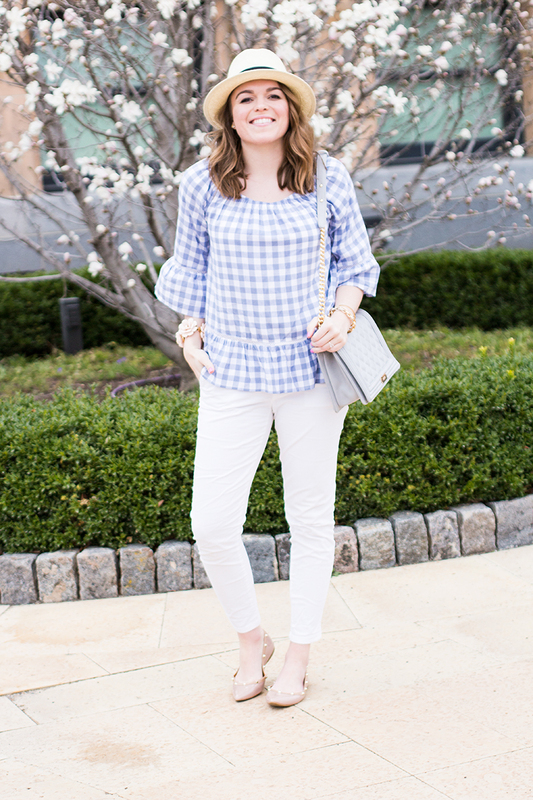 To see another one of my favorite gingham looks, check out last year's post. 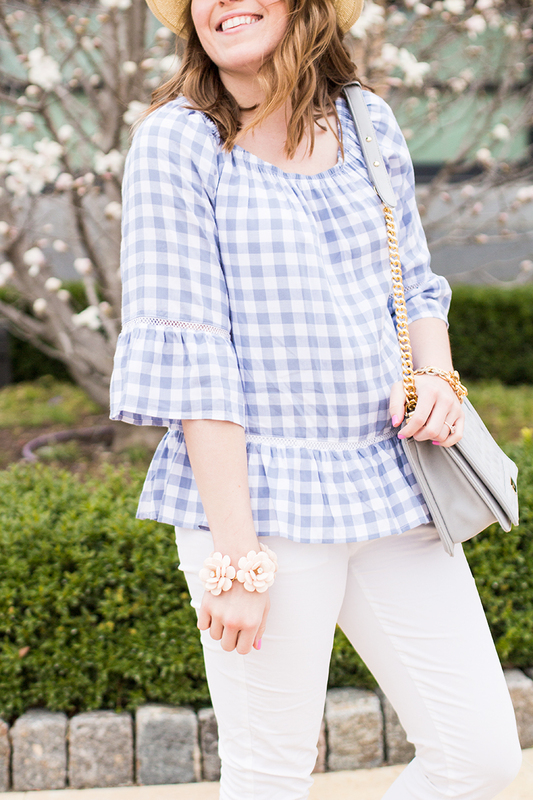 What do you think of this gingham top?